Dealing with a fire disaster can be an overwhelming task for any home or business owner. Along with the stress and emotional weight that a devastating fire can bring, there is the added urgency of getting your property cleaned and restored as quickly as possible. Sierra Restoration offers 24/7 emergency fire damage restoration services because we know that fires can strike at any time. Our professional team aims to provide the best restoration services in the area. We promise to arrive on the scene of the disaster quickly, and will work fast and efficiently to help restore your property and your life. Sierra Restoration is certified and licensed to clean up any fire, smoke, or soot disaster. Our team is educated and experienced in repairing any damage caused by the heat and residue of a fire. When we finish a job, there is no evidence that a fire ever occurred. From the initial phone call, our priority and focus are on your immediate needs. We know how inconvenient any disaster can be, and we will work hard to help you recover from the fire disaster as fast as possible. Our immediate actions will secure your property and make efforts to save your personal property and prevent further damage. Safety is a huge concern when it comes to structures that have fire damage. It is extremely important to contact a professional fire damage cleanup company before you enter a fire-damaged property. 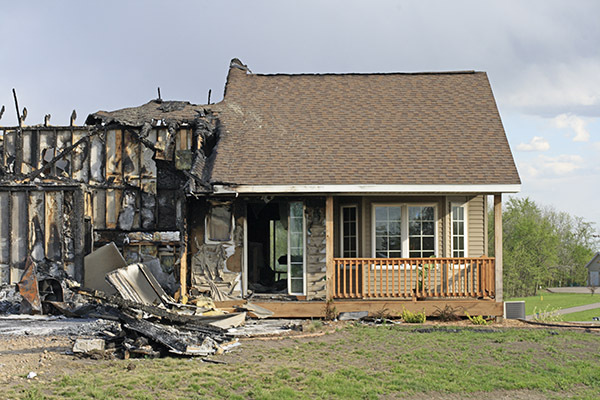 Fires create many different types of dangerous hazards and fire-damaged properties need to be secured before anybody tries to enter the scene. Be sure that your first priority after a fire is to get a professional team in the home or business before you step inside. Our team prides itself on our safe and efficient emergency disaster services and we want to be the company you turn to when you experience any type of fire and smoke damage to your property. Call now for 24/7 emergency service.